Cabañas magicas are 2 beautiful designed cabañas , close to the center of San Agustinillo but far enough from the main street to enjoy in calmness of the nice setting on a little hill with view and fresh breeze from the ocean. 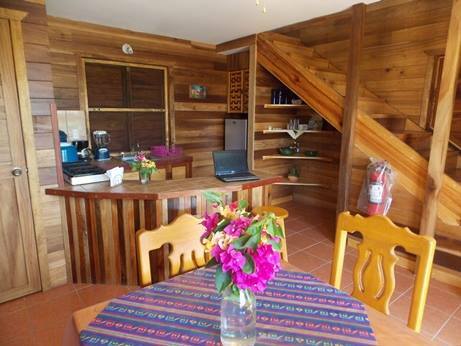 There are 2 seperated cabañas available, consisting of 2 stories, downstairs is the kitchen and dining room with a small bathroom and a double guest bed, upstairs the master bedroom with a big, comfortable bathroom and a terace with hammock. 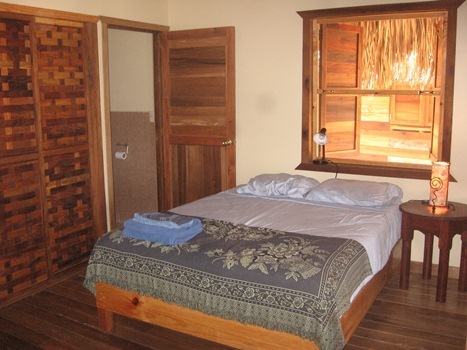 The cabins are very comfortable and cosy, built with a lot of wood. In front of each cabaña is a private terrace, but there is also a shared terrace for everyone and the garden. On the weekends owner Paulina and her son also run a little lounge, if anyone should want some company…. WiFi available for the guests. the cabañas are located about 200meters up the hill from the center of town and beach. 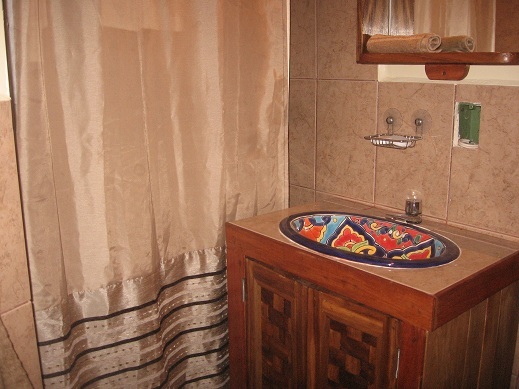 Prices on request because they vary a lot depending on the season, number of persons and duration of stay.